We Andrea and Nelson live in Switzerland, but at least twice a year we go to Cuba. At the moment, we live and reside in Switzerland, so we cannot always be on site there, but that doesn't matter, because our good Fairy Martha who look after our casa are always there for you. But we are also a small Family Business, because Chino, Nelson’s brother is the caretaker and fixes anything that might get broken. Adonis, Nelson`s cousin, is your taxi driver and will pick you up from the airport and take you back. Organisational matters like accounting, marketing etc. we deal with in Switzerland. 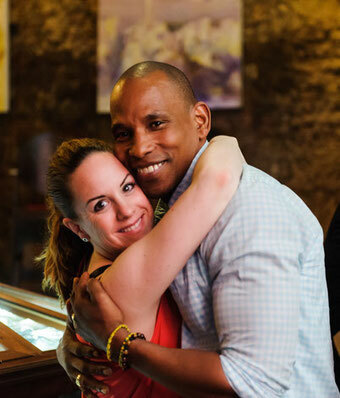 We are a small family business with lots of passion and you can be certain that we're here for you any time! “Nos vemos pronto” - Come and see us soon! 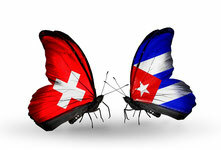 whether in cuba or in switzerland. Get in touch... we looking forward.